13mm hardened Performance steel shackle resists cutting and leverage attacks. New patent pending hardened double deadbolt design gives additional protection against twist attacks. Includes Transit FlexFrame-U transportation system which allows for versatile carrying. 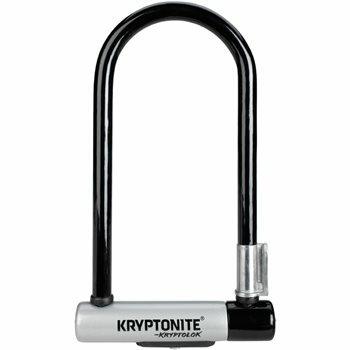 Rated 6/10 on Kryptonite’s security scale. Product dimensions: 4” x 9” (10.2cm x 22.9cm). Product weight: 2.9 lbs (1.32 kgs). Sold Secure Bicycle Gold certified.